There are 26 rhymes in this collection. This product is a digital file and no physical product will be shipped. 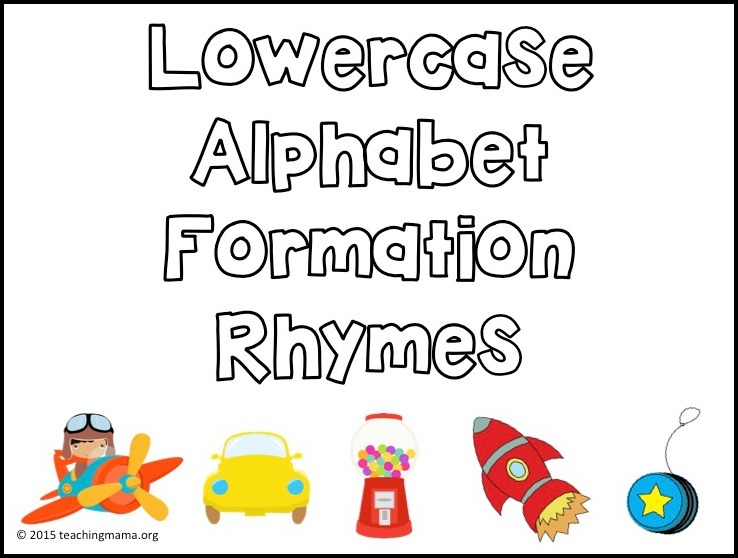 Teach little ones how to write letters with these lowercase alphabet formation rhymes! 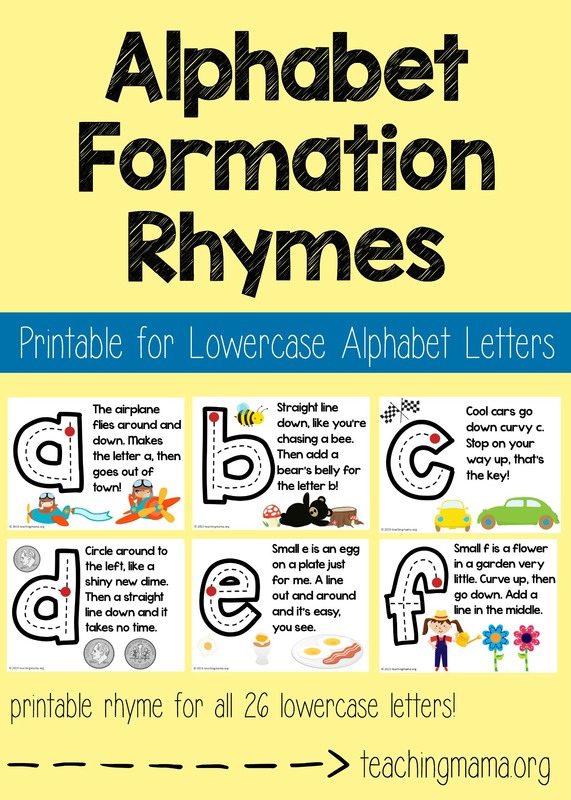 This set of printables explains how to write the lowercase letters with a fun little rhyme. 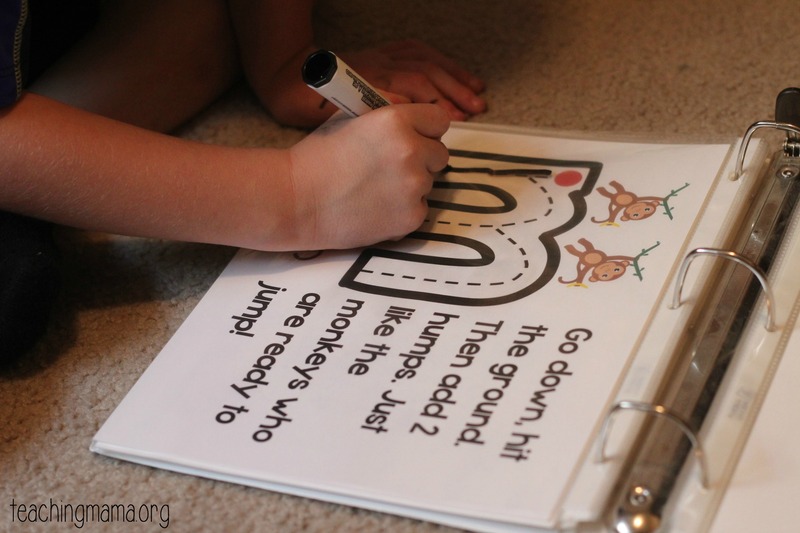 These can be used as posters around a room, tracing with a finger, or tracing with a writing utensil. I like to put these sheets in plastic sheet protectors, put them in a binder, and have my kids practice tracing them with a dry erase marker. That way we can use them over and over again! 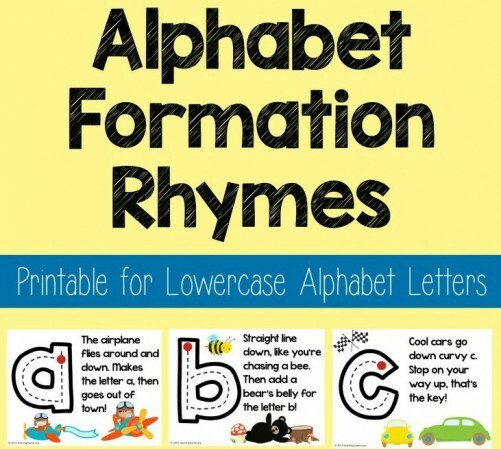 There are 26 lowercase alphabet letters included in this set. 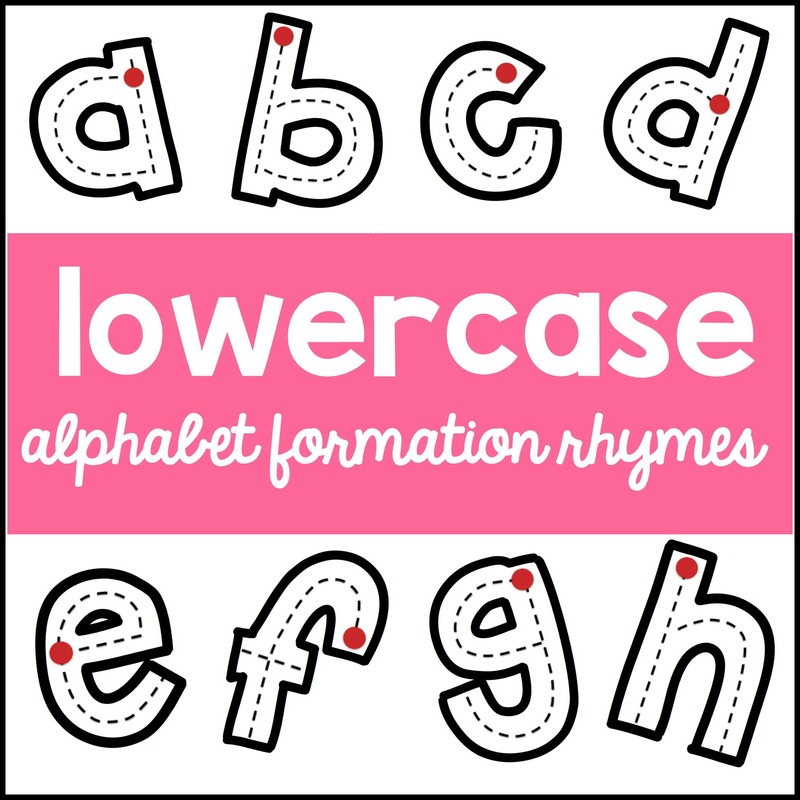 If you’d like a free sample of the packet, you can download the 5 Vowels (A, E, I, O, and U) for free right HERE. This is adorable! I love it! 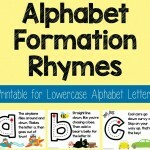 This is exactly what kids need to remember letter formation. Wonderful job!